Bride squad, in da house! 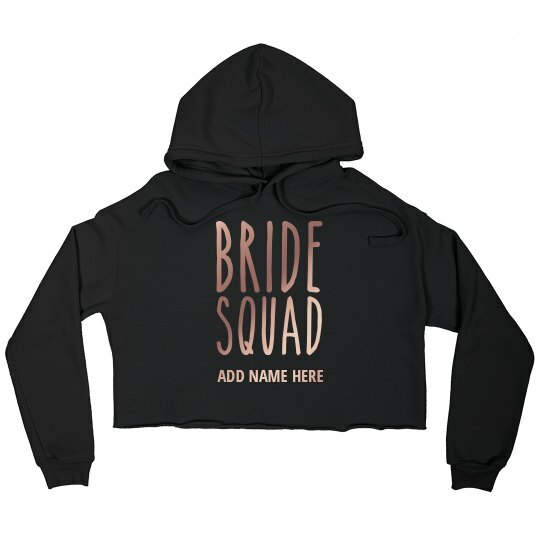 Customize a super cute and ultra soft, cropped, metallic hoodie for your bridal crew to wear during your bachelorette bash! Add names to give these sweatshirts a personalized look.